Often regarded as one of South Africa’s most underrated lyricists, Erick Rush comes through with a banging new piece of music. 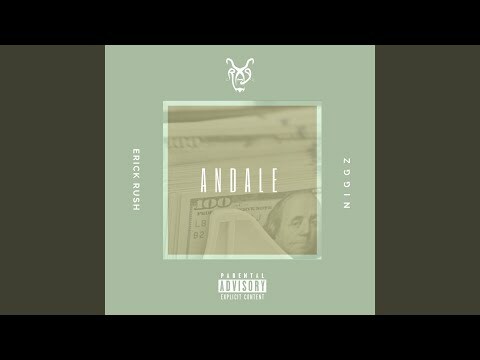 He titles this one “Andale” and he calls on the feature of Niggz. Erick Rush who is signed to Room XI has been one who has never faltered with his roll of stunning creations. Plus, he has on several occasions giving lyrical support in collaborations with some of the game’s finest emcees. The “New Age Voyage” hitmaker has been able to mastermind such records as “Memory Foam,” “Buss’ It,” “Hold It Down,” “Lord Have Mercy” and has supported acts including Nasty C and Tellaman. This way, it isn’t so surprising that he curated some dope content off of “Andale” as he makes it a hustler’s anthem, creed and grind. He doesn’t forget where he’s come from and where he’s headed; knowing the glitters of success is just around the corner. He got the massive ladders of support from Niggz who tried as well to outshine him with the insane lyrical contribution focusing on the chase and quest for the paper. In the end, “Andale” is one piece that holds a motivational touch that should inspire you to pursue your own goals since they say there is no such thing as delicious as the taste of success. You’ve just got to grab a dose of this latest musical pleasure. Simply stream, download, then share your thoughts and opinion in the comments section below.